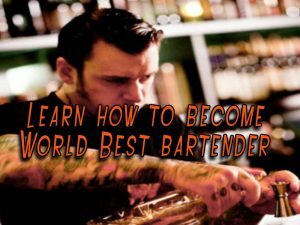 Home » Guide » How to Write the Best Bartender Job Description and Get Hired Fast! If you are looking for a good bartender for your establishment, you must create an excellent and comprehensive bartender job description in your employment advertisement that you will post on a careers pages or online job boards. 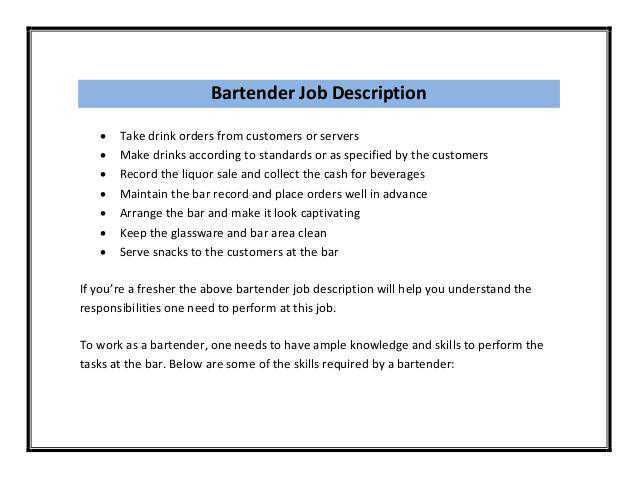 A well-made bartender job description can attract a potential employee to tend the bar that is skilled in doing it. There is no shortage of people who are looking for this kind of job. The numerical quantity of prospective employees is many, but the quality is not. Finding the right one who meets your criteria for working in your establishment is hard. The purpose of a job description is to maximize the chances of getting the right kind of bartender to hire. Your reasons may vary as to the type of bartender you want. Perhaps you want one to work generally with skills to mix the drinks. You could be looking for a one who does flair bartending. Perhaps someone who is diligent in doing other tasks like serving food and bar cleaning. Maybe you have problems with drunken customers and need someone brave enough to remove the client. Regardless of what your reason is for hiring a good bartender job description is what you need. What to put in a bartender description? A job summary states what kind of applicant you need. The contents of a job brief must be relevant to the job. Good job briefs are a challenge for any employer to write down. A short job brief can attract the best kind of applicant for bartending. Define the role and requirements of the bartender job. Example: Looking for a socially inclined person with a pleasing and great personality. Must be skilled in mixing drinks. Must also be willing to serve food and clean the bar. Put in the details of the job like qualifications, overall purpose, main objectives, the needed technical experience and core competencies. State the responsibilities that come with the job. Be sure to let the prospective applicant know that may need him or her in another job capacity besides being a bartender. You can also specify what experience the applicant need, but avoid the “X years’ experience” reference. Can prepare alcoholic or non-alcoholic beverages. Able to take orders and serve snacks as well drinks. Interact with customers in a pleasant and friendly way. Must be able to assess the preferences and needs of customers and make recommendations for the menu or selection. Expert in mixing ingredients to prepare some of the drinks. Good at planning as well as presenting the menu of the bar. Restocking and replenishing the bar’s supplies and inventory. Checking and confirming if a guest meets the legal drinking age requirements. Ensuring that the food and beverages comply with regulations. All of these placed in your job brief will make certainly improve bartender job description. When looking at an applicant’s bartender resume, see if he or she has written down the important parts. A resume is an applicant’s way of stating his or her qualifications to an employer that would result in being called for an interview if the resume is acceptable. The resume must be in a visually engaging format that clearly outlines the applicant’s qualifications for the employer. 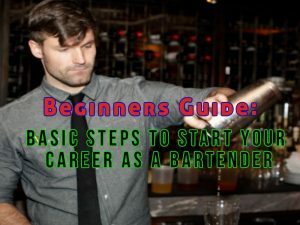 Objective – States what he or she is looking for a bartending job. This info can let you decide if the applicant has a place in your establishment. Qualifications – Most qualifications you read here are those relevant to the job your offering. Sometimes an applicant would state that he or she has other skills you can use to in the establishment being bilingual or multilingual for example. Expertise – Examples of this are like knowing the prices of drinks, knows a lot about the mechanics of drinks, can organize the bar expertly and can deal with the occasional out-of-control customer. Experience – This states where and when the applicant has done this job before. Education – The applicant shows here the level of education that he or she has attained. This part must also show when and where he or she got educated. 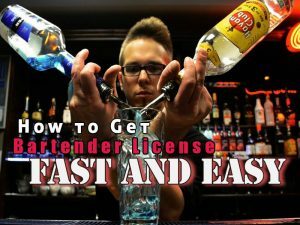 Additional capabilities and skills – States other skills that the applicant possess in bartending. Examples are: being attentive to detail, knows the business standards of beverages and adheres to it, good communication skills, a people person, possess the desire to mix and serve drinks. If you have given the applicant a call and set an appointment, then it is sure that his or her resume has caught your attention.